What questions does White House meeting planner Juliana Smoot ask herself? One of the things that make meetings and conferences so interesting to write about is their multifaceted nature — combining elements of education, performance, governance, hospitality, travel, commerce, and so on into one event. The Washington Post agrees with me. Or, at least, that’s my interpretation of a recent package of articles in which the Post‘s fashion, pop-music, dance, theater, and classical-music critics offered advice to Julianna Smoot, the White House’s new social secretary. Why? 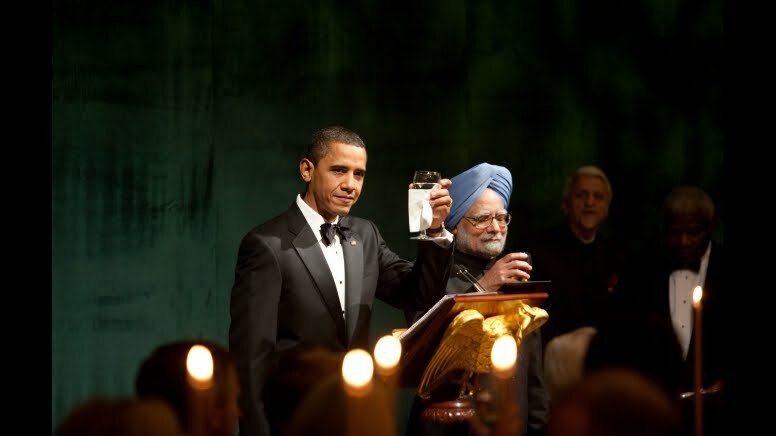 Because, like meetings and conferences, presidential events (including last November’s state dinner for Indian Prime Minister Manmohan Singh, pictured above) are a sophisticated blend of substance and style, their character and content shaped not just by who attends and what they talk about, but also by the clothes they wear and dozens of other verbal, visual, and subliminal cues. What if White House staffers swore off tuxedos at the next dinner? What if they wore something more surprising? Or more casual? If the White House is charged with celebrating the best of American culture, why not use designers’ skills to ensure that every detail of an event speaks to our contemporary style? That’s a question for meeting professionals, too. Do you consciously use dress codes, music, production design, etc. to communicate a specific message about your organization and your event? Or are those things simply about making sure that everyone has a good time?